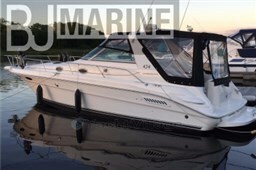 The Merry Fisher 925 is an excellent cruising boat. Its rational design combining both the spirit of Nordic boats, space stars fly, and the comfort of the trawler, in fact a boat especially engaging and effective. This boat is very fitted, all revisions to and ready to sail. Dear Sirs, I have seen on YachtVillage your offer about Jeanneau Merry Fisher 925 Fly - 2007 (code: 482691). I am interested in the offer and would like you to contact me. Thank you.